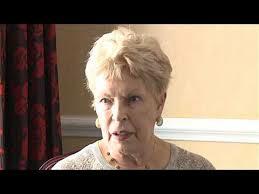 Mystery Fanfare: Ruth Rendell: R.I.P. Sad news. Ruth Rendell has died at the age of 85. Be sure and scroll down for a video interview with Peter Kemp. Read Val McDermid's Guardian Obit here. Ruth Rendell wrote more than 60 novels in a career spanning 50 years, her best-known creation being Inspector Wexford, which was turned into a highly successful TV series. Rendell, one of Britain's best-selling contemporary authors, also wrote under the pen-name Barbara Vine. Born in Essex, she is credited with bringing a social and psychological dimension to crime fiction. Publisher Penguin Random House said Rendell, who suffered a stroke in January, died in London on Saturday morning. "We are devastated by the loss of one of our best-loved authors," the publisher said in a statement. Penguin Random House chair, Baroness Gail Rebuck, said Rendell was admired throughout publishing for her "brilliant body of work". "An insightful and elegant observer of society, many of her award-winning thrillers and psychological murder mysteries highlighted the causes she cared so deeply about." Rendell's first Wexford book, From Doon with Death, was published in 1964, beginning a series of more than 20 starring Inspector Reginald Wexford, played in the TV series by George Baker. Many of her works were translated into more than 20 languages and adapted for cinema and TV, attracting worldwide sales of 60 million. She was the author of more than 20 standalone novels, whose protagonists were often on the margins of society, and was awarded the Crime Writers' Association Cartier Diamond Dagger for excellence in crime writing. Her final novel, Dark Corners, is due to be published in October. 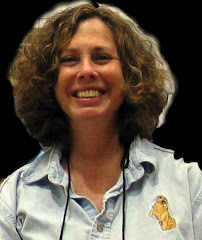 Rendell began her writing career as a reporter on an Essex newspaper. However, she was forced to resign after filing a story about a local sports club dinner that she hadn't attended. Her report failed to mention that the after-dinner speaker had died half-way through the speech.